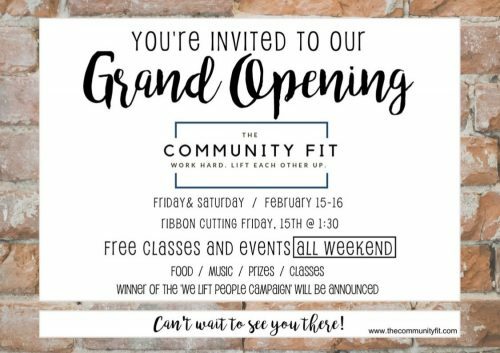 The Community Fit Grand Opening and Clothes Drive will be Feb. 15 from noon to 7:30 p.m. and Feb. 16 from 8 a.m. to 3 p.m. at 104 N. Main St. in Bentonville. The event will feature free music, food, prizes and classes. There will also be a clothing and toy drive for the Northwest Arkansas Women’s Shelter and curbside drop-off is available. For more details, visit www.thecommunityfit.com.